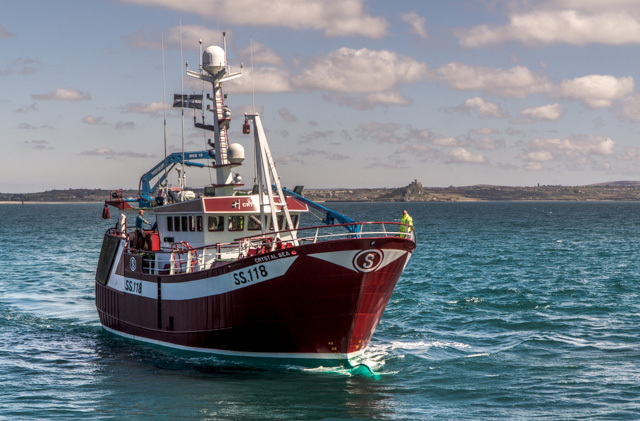 Whilst many industry members are still reeling at the implications of landing 100% of catch – and worried about their bottom line in a ‘discard free’ future – a dedicated and growing core of active fishermen are seeking new solutions to implementing the Landing Obligation (LO). Their vision is of fishing businesses that waste little, deliver profits and remain sustainable in the long-term. But how can this be achieved? “We just need to make use of the tools available. With the right combination of tools and policy measures we can create the right conditions for sustainability and strong business.” Peter Olsson, Swedish Fishermen’s Producer Organisation. With the LO in place, I believe constructive dialogue between policy makers and those working to practically apply their legislation is more important now than it ever has been. In recent years we have seen a step-change in how fisheries science and management is viewed: the start of a shift from top-down instructions to something more inclusive, which seeks answers and inspiration from the communities affected by legislative change. Using the knowledge already inherent in fishing communities, and giving them the space and correct incentives to experiment and deliver change, we can see existing tools to combat discards put to new uses. This will have to be the basis upon which a successful Landing Obligation is delivered. Highlighting the range of tools available to achieve low – or no – discards has been at the heart of EDF’s industry-led approach in Europe, with our Discard Reduction Manual offering methods which can be applied in different scenarios, combined, or used in isolation: all of which can play a role in delivering the LO. These tools include options for smart quota management and building accountability, but also look closely at ways to improve selectivity within fisheries. Providing a crucial platform for the exchange of knowledge from within fishing communities and debate emerging new ideas, the International Institute for Fisheries Economics and Trade (IIFET) dedicated a day of its 18th biennial meeting solely to ‘industry and policy’. I was there to host an EDF panel session entitled: ‘Adapt, improvise and overcome: fishermen’s responses to the LO’. Practical, optimistic approaches to the LO conundrum were at the heart of discussions, with both fishermen and the processing sector detailing their trial, error and triumphs with self-driven gear adaptation. Whilst there was a clear sense of ambition from those present, the vision of the future presented was not without some stark warnings from industry. With that crucial aim of constructive and mutually respectful dialogue in mind, it’s clear that legislators need to listen and be sensitive to the testimonies of fishermen like Crystal Sea Fishing’s David Stevens. His participation in the Cefas and Marine Management Organisation (MMO)-supported “Catch Quota Trial” enabled him to achieve a 67% reduction in mortality and almost completely erase juvenile haddock discards. This was, however, done at a 19% economic loss. This cannot be ignored. I strongly believe that closely examining real life examples, such as David’s, and the others we heard during our panel conversation, is the first step on the path to discovering practical implementation solutions for policies that affect livelihoods as well as ecosystems. It allows us to assess and balance the on-the-water effectiveness of increased selectivity, different forms of smart quota management, and everything else in the toolbox. Such scenarios also let us see potential limitations of policies and the need for further innovation from the bottom-up – as well as increased flexibility from the top-down. EDF will continue to find channels through which to encourage this kind of dialogue, and to champion the examples of ambitious fishermen generating best practice ahead of the curve. With old knowledge, new innovations and a varied toolbox at hand, Europe can deliver a sustainable future: for fish, fishermen and communities. This entry was posted in Europe, International and tagged discard ban, industry innovation, landing obligation. Bookmark the permalink. Both comments and trackbacks are currently closed.